•STUDENT MUSICIANS CONCERTS AND AGM...The date has been set. This year it is Saturday afternoon, November 6th. Enjoy an afternoon with our young musicians. •THE WAIKANAE MUSIC SOCIETY CHARITABLE TRUST FOR YOUNG MUSCIANS's...closing date for applications this year is Friday 30 October.See the Trust details above. 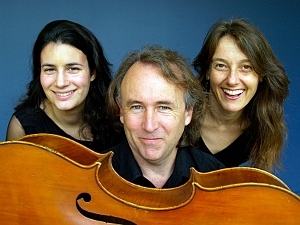 Pianist Katherine Austin and cellist James Tennant are familiar to us from the Ogen Trio and the Kandinsky Ensemble. They now teach at the University of Waikato where, with violinist Lara Hall, they have formed the New Zealand Chamber Soloists. Their sumptuously romantic programme includes well-loved trios by Schumann and Rachmaninoff, and introduces the extraordinarily moving music of Armenian composer Babadjanian. This concert is a double delight – the country’s top chamber ensemble and one of the country’s favourite pianists together in Elgar’s Piano Quintet, a glorious work of sweeping grandeur and melancholy tenderness. The Quartet will also play one of Haydn’s most striking quartets, Opus 74, No 3 The Rider and offer a brief and tantalising taste of the orient with Zhau Long’s Song of the Ch’in. 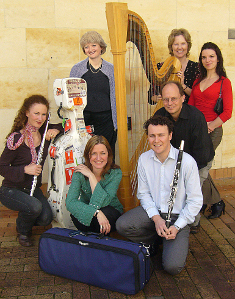 Donald Armstrong and Cristina Vaszilcsin (violins), Gillian Ansell (viola), Rowan Prior (cello) and Phil Green (clarinet) join forces with the flute and harp duo Flight (Bridget Douglas and Carolyn Mills) for this concert. They will bring us some of the delights of early 20th century France, with music that is characterised by elegance, wit and charm. Highlights include Debussy’s Sonata for Flute, Viola and Harp, the Clarinet Quintet by Jean Francaix, and for all seven instruments, Ravel’s evocative Introduction and Allegro. 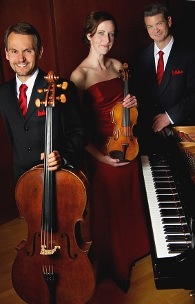 Former Wellington cellist Christopher Hutton now teaches at Furman University in South Carolina where he has formed the Poinsett Trio with his colleagues, German pianist David Gross and American violinist Deirdre Hutton. Beethoven’s first trio will open the concert, followed by the Handel/Halvorsen Passacaglia for string duo and Chopin’s Polonaise-Fantasie for solo piano. Brahms’ magnificent Opus 87 Trio takes pride of place in the second half. In recent years we have had some memorable concerts from winners of the Michael Hill International Violin Competition and this should be no exception. 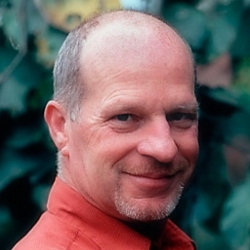 The 2009 winner returns for a nationwide tour accompanied by the incomparable Michael Houstoun. 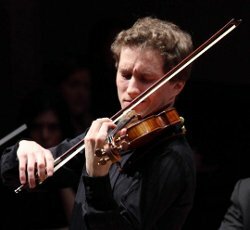 Brilliant young Czech violinist Josef Špaček has won numerous awards and competitions including the grand prize at the Kocian International Violin Competition in the Czech Republic. His programme includes Bach’s famous Chaconne, a Mozart Sonata (K305), Prokofiev’s daunting first Sonata, and, with a nice touch of patriotism, Smetana’s From My Homeland. 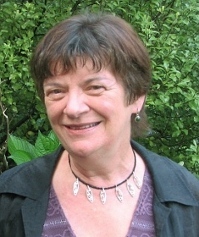 The Kerikeri National Piano Competition, described by its patron Michael Houstoun as “by far the best test for young pianists in the solo repertoire in this country”, has launched the careers of many of New Zealand's top pianists. This year's winner is John-Paul Muir from Auckland. 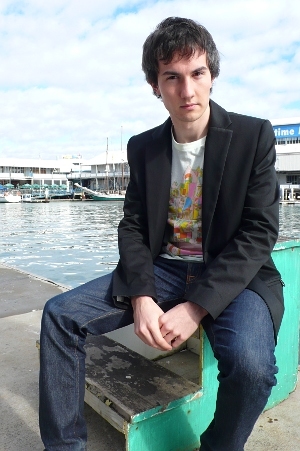 John-Paul has a Masters degree from the University of Auckland and has previously won both the National Concerto Competition and the National Young Performer of the Year. 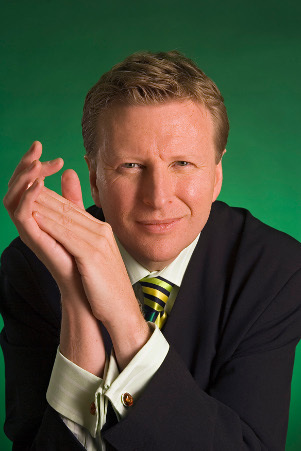 He has performed in the UK and the US and has toured for Chamber Music New Zealand. In September John-Paul will be moving to London to study at the Guildhall School of Music. John-Paul's programme will include Beethoven Sonatas Op 78 and Op 109, Chopin's Barcarolle and two works by Liszt - Funerailles and Benediction de Dieu. Proceeds from this concert will go to the Charitable Trust for Young Musicians. We are immensely proud to present this internationally renowned pianist in the only solo recital he will give while in New Zealand for a chamber music tour. His programme is sheer bliss for all lovers of great piano music – Schubert Dances, Brahms’ Opus 119 Klavierstucke and Beethoven’s profound Opus 110 Sonata. Then, in celebration of the 200th anniversary of the composer’s birth, a second half devoted to the magical sound-world of Chopin. Please note: Special prices apply for this concert. Bookings are essential. 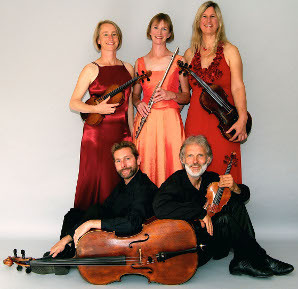 Although this is a relatively new ensemble, its members are all highly experienced professional musicians. Martin and Victoria Jaenecke (violin and viola), violinist Constanze Artmann and cellist Paul Mitchell will be joined by well-known flutist Karen Batten. 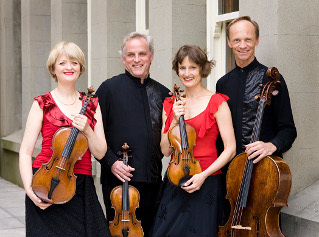 Their vision is to create a dynamic and varied concert experience and they can be sure to apply their infectious enthusiasm to this entertaining mix of works for strings and flute by Boccherini, Reger, Turina, Mozart, Copland and Ginastera. 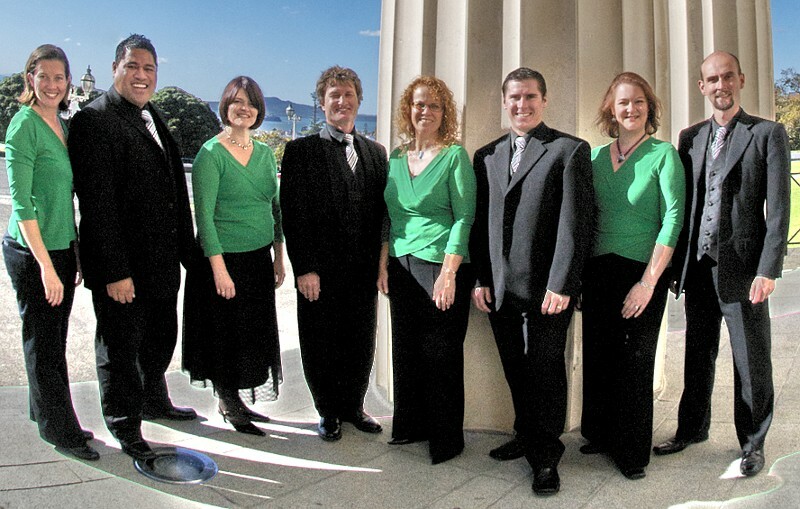 “… Spine-tingling… exquisite… sheer choral brilliance… totally entertaining and polished.” Breaking the mould of traditional concert etiquette, this award winning Auckland-based ensemble is well known for performing traditional choral and jazzy vocal arrangements in a stylish and entertaining way. Fresh and contemporary, this well-trained octet’s aim is to perform good music well, and have a lot of fun on the way. All members of V8 have sung with the New Zealand Youth Choir and/or Voices New Zealand and have represented New Zealand overseas with these choirs. From left to right they are: Judy Dale, Albert Mataafa, Virginia Le Cren, Stephen Rowe, Carolyn Medland, Brendon Shanks, Celia Aspey-Gordon, Rowan Johnston. "These pages were last updated on September 22nd, 2010"